Kian and dad sharing a moment. Poor kid! 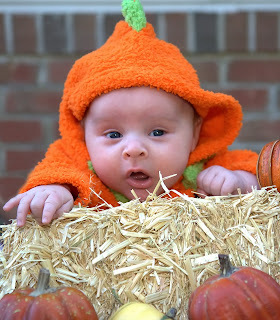 Forced to wear a pumpkin outfit!